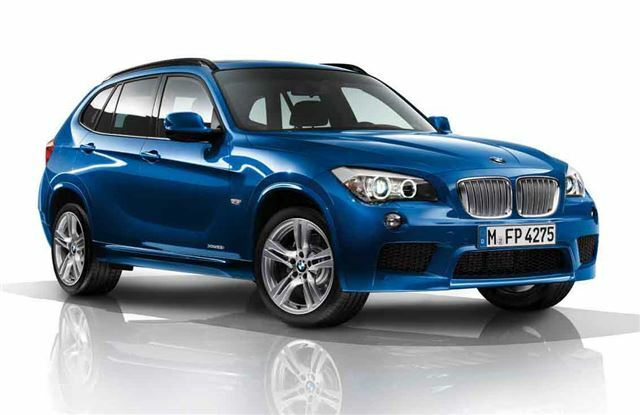 BMW has introduced the X1 M Sport, bringing the renowned M Sport looks to the smallest member of the BMW X family. Prices start at £26,615 on the road for the two-wheel drive X1 sDrive 18d M Sport and £27,710 for 18d xDrive M Sport. The M Sport trim includes 17-inch star-spoke M alloy wheels, chrome plated door sill finishers with M designation, high-gloss Shadowline exterior trim for the window surrounds, M Sport multi-function steering wheel, Sport seats and Anthracite headlining. Meanwhile pricing has also been confirmed for the X3 M Sport which starts at £33,830 OTR for an xDrive 20d M Sport. BMW has also announced prices for the new 6 Series Convertible which goes on sale on 26 March 2011. The 640i SE will cost from £65,680 on the road and prices for the 650i SE start from £73,430 OTR. The new BMW 6 Series Convertible now comes with an enhanced specification as standard including an eight-speed sport automatic transmission, Dakota leather upholstery with SunReflective technology, electric seat adjustment with memory function, BMW Professional Multimedia Navigation System and LED front foglights. Meanwhile, BMW has introduced the new 318i Coupe. On sale from March 2011, this new entry level 3 Series Coupe is powered by a 2.0-litre petrol engine producing 143bhp, resulting in a 0 to 62mph time of 9.1 seconds. Emissions are just 146g/km CO2 and it returns a claimed 44.8mpg on the combined cycle. The new BMW 318i Coupe qualifies for VED band F, just £125 a year. It will also further appeal to company car drivers with just 19 per cent BIK while its sub-160g/km CO2 means that it attracts a 20 per cent write down allowance. Available in both SE and M Sport trim, the BMW 318i Coupe SE is available from £26,995 OTR.